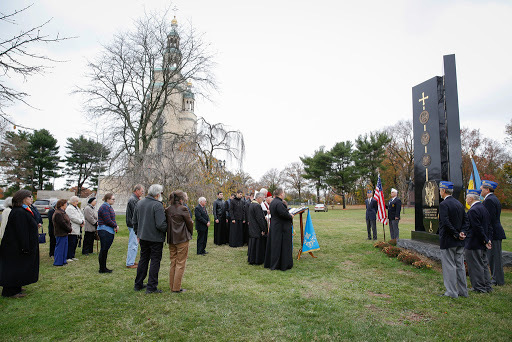 On November 11th, 2015 – the nation’s Veterans Day, at 11 o'clock in the morning upon the request of Ukrainian-American Veterans, Moleben service was held for all the Veterans who served in the United States Armed Forces. 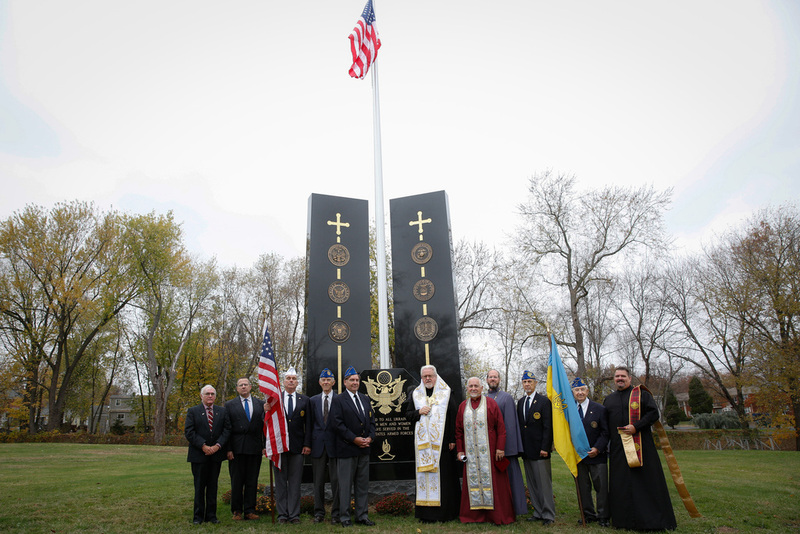 The Moleben took place by the newly Dedicated Monument to the Ukrainian American Men and Women who served in the United States Armed Forces, which is located near the St. Andrew Memorial Church in South Bound Brook, NJ. His Eminence Metropolitan Anthony in the presence of veterans, local clergy, seminarians, Consistory workers and the faithful had served the service sang by St. Sophia's Seminary Choir. Following the conclusion of the prayer, Metropolitan Anthony stated that we have to extend our gratitude for the service of the military personnel of our country during the World War II, Korean War, Vietnam War. These individuals committed to a cause larger than we did and accepted the challenge to defend our Nation. 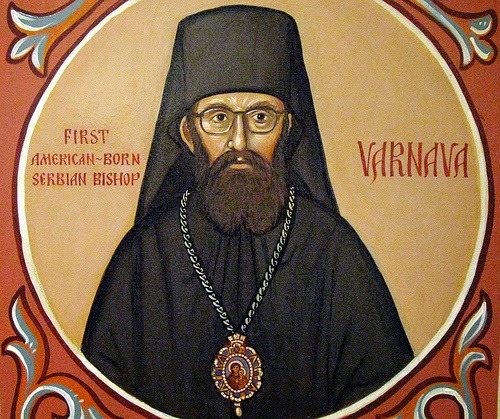 Also, Metropolitan Anthony said that Veterans Day celebrates the service of all U.S. military veterans, while Memorial Day is a day of remembering the men and women who gave their lives and those who perished while in service. In conclusion, everybody venerated the cross with a greeting word from His Eminence "Christ is Among Us". 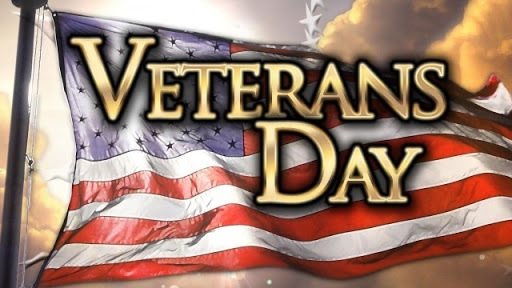 In most years and most times, Veterans Day passes with little or no mention in our parish communities. 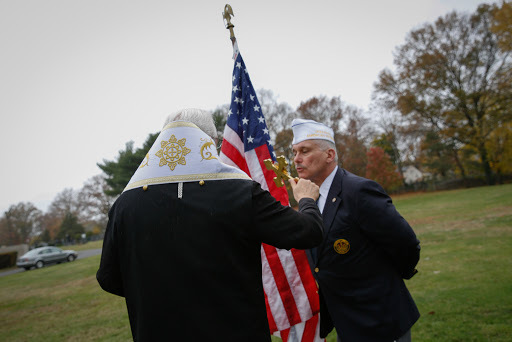 Historically and traditionally, Veterans Day has been more a civic than a sacred observance. As with Christmas Day, Memorial Day, Thanksgiving Day, and others, Veterans Day is not a part of the liturgical calendar — although sometimes local congregations will observe that day in some manner, like ours did today, near the beautiful Ukrainian American Veteran Monument.